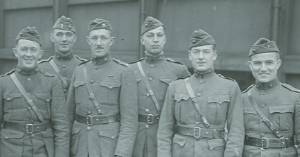 Whether your American World War I ancestor shipped out or stayed state-side, here are some tips from David Allen Lambert to help you research him. World War II research can be challenging, even for people who have been doing genealogy research for some time. 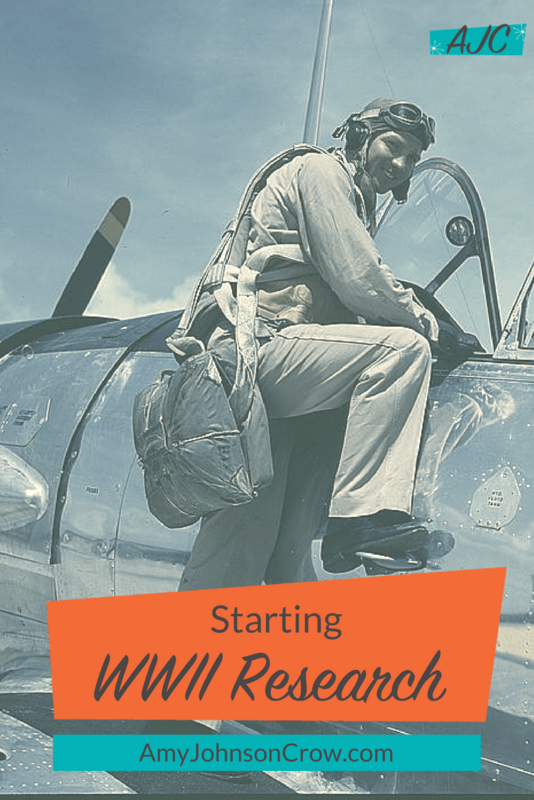 Here are some tips you can use to get started researching a US serviceman (or woman) from WWII. If you're one of the millions of Americans who descends from a Civil War veteran, you have a wide variety of records to explore about that ancestor. Knowing what unit he served in is key to getting into those records and making sure you have the right person. 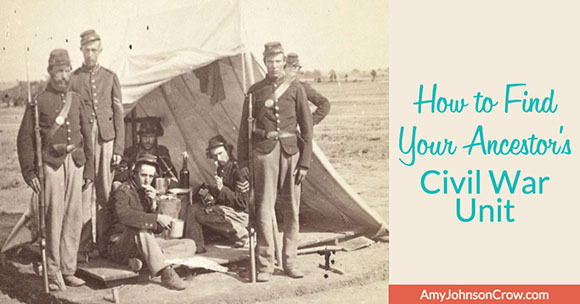 Here's how you can find your Civil War ancestor's unit. Obituaries can be a great source of biographical information, including details of military service. While some obits just refer to being in the military, many will spell out the regiment, like this one for John S. Evans, who died in Minneapolis in 1904. Minneapolis (Minnesota) Journal, May 11, 1904, page 6. Image courtesy Chronicling America, Library of Congress. 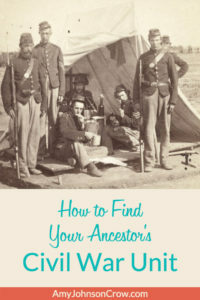 Look in the histories of the counties where your ancestor lived, especially those published in the late 1800s and early 1900s, when he or one of his children could have been the one giving the information. Even if your ancestor doesn't have a biography in that county history, look for a section about the military history of the county. Most will list the units that were formed in the area. That's important because most men served in units that were raised locally. 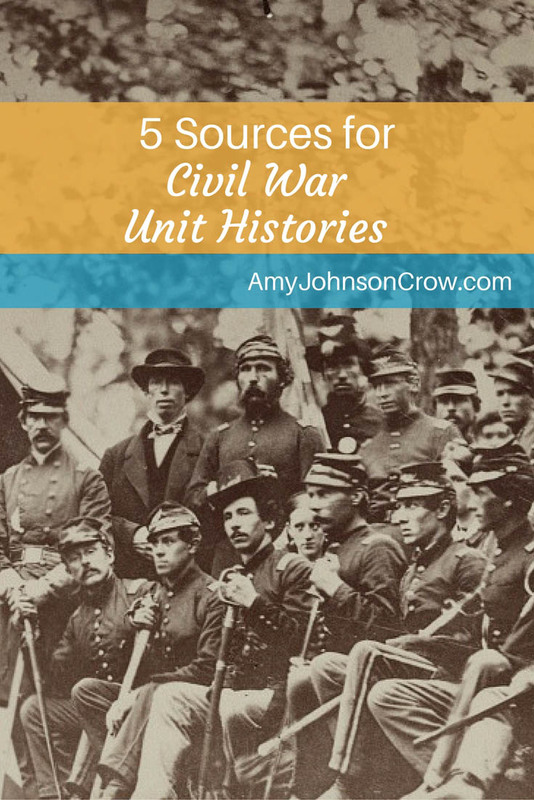 Learning which regiments were from that area will help you focus your search. It isn't just government-issued tombstones that can list a person's regiment. 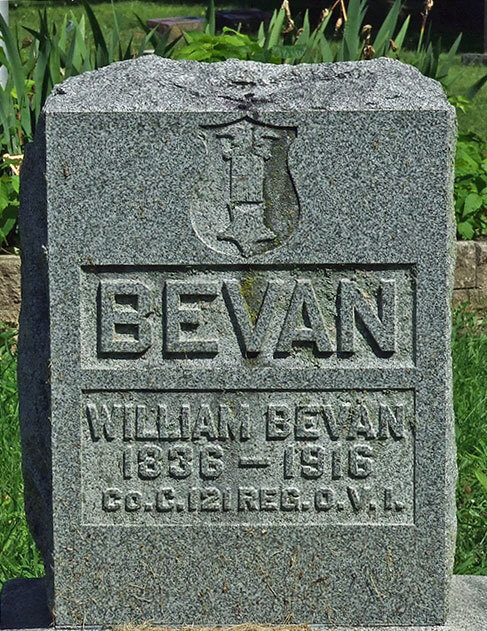 Here is William Bevan's tombstone in Oak Grove Cemetery in Delaware, Ohio. It lists that he was a member of Company C, 121st Regiment O.V.I. 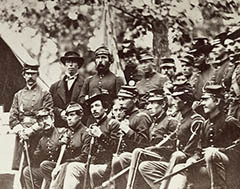 (Ohio Volunteer Infantry). For good measure, it also has the insignia of the Grand Army of the Republic, an organization of honorably discharged Union Veterans. Fortunately, there are two indexes that can help. The first is General Index to Pension Files, 1861-1934, which is available on Ancestry and on FamilySearch. (Thanks, Marian, for pointing out that FamilySearch now has these images!) It includes the name of the widow if she also applied for a pension. While it doesn't give a ton of biographical information, it does give us information that can help us narrow down if it's the right person. 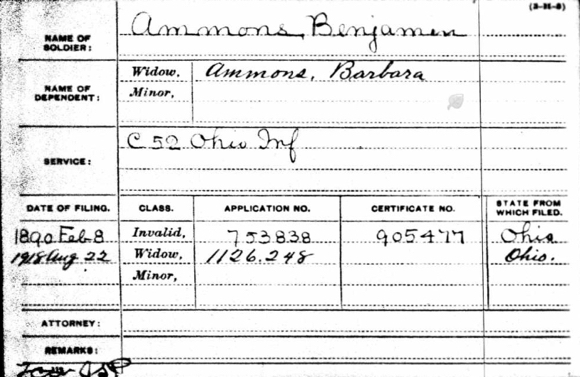 Benjamin Ammons card, General Index to Pension Files, 1861-1934. Image courtesy Ancestry.com. The other index is the "Organization Index to Pension Files of Veterans Who Served Between 1861 and 1900," which is available on Fold3. (An index to this set is available on FamilySearch, but the images are not.) It typically doesn't list the widow's name, but it often lists the date and place of death of the veteran. Again, this gives us a necessary clue to narrow down the right person. If you have a Confederate ancestor, you should explore if your ancestor or his widow received a Confederate pension. They were granted by the former Confederate states, plus Kentucky, Missouri, and Oklahoma. Many of these are available on FamilySearch. They will usually contain enough biographical information to tell if it's your ancestor or just someone with the same name. Approximately 3.2 million men (and a few women) fought in the Civil War. It's important to identify their unit so that we can access their records and make sure that it's the right person. 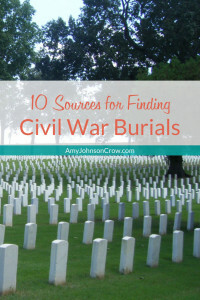 Finding where a Civil War ancestor is buried is important to many genealogists. Whether he died in the war or years later, there are numerous sources we can use to find where he is buried.